There's a lot to be confused about when it comes to the Friulano grape. First of all, there's the fact that, historically, virtually no one has called it Friulano. Traditionally it was known as Tocai or Tocai Friulano in the Friuli region of northeastern Italy or as Tocai Italico in the Veneto region where the grape is thought to have originated (though this may or may not be a different grape altogether). The name was banned in 2007, though, because Hungary was able to convince the EU that the name Tocai may cause some confusion with their great sweet wine, Tokaji, which Friulano has absolutely nothing to do with, at least not anymore. There's a theory that perhaps Furmint, the grape used in the Hungarian Tokaji, was the original grape used for a wine known as Tocai Friulano, but that certainly isn't the case today. There's also a theory that some Friulano vines may have been brought into Hungary as a result of a 17th Century marriage between a Venetian princess and a Hungarian count, but regardless of whether either story is true or not, we do know that Friulano is not used in the modern day production of Tokaji and has no relation to any of the grapes that are. There was some confusion about just what the grape would be called when the EU naming restriction came into effect in 2007 since there were a handful of other names that were somewhat widely used. Two of the most widely used alternate names were Sauvignonasse and Sauvignon Vert (which is also sometimes a synonym for Furmint, confusingly enough), which might suggest some kind of a familial relationship to Sauvignon Blanc, but it turns out that there isn't one. The two vines do resemble each other quite a bit, though, and this similarity has caused some notable confusion through the years. At some point, though no one is quite sure when, some of the Tocai vines made their way into France, either from the Veneto or from Friuli, and eventually into Bordeaux, where they were mistaken for Sauvignon Blanc and planted among the Sauvignon Blanc vines already there. When some of the Bordeaux vineyards sent cuttings from their fields over to Chile in the 19th Century, cuttings of Friulano made the trip as well since the proprietors were unaware of the mix-up in their vineyards. Phylloxera eventually killed off the Friulano vines in Bordeaux, which were replanted with the correct Sauvignon Blanc vines in the aftermath, but since Phylloxera never came to Chile, the mistake persisted until the 1990's when some visiting ampelographers noticed the Friulano vines amidst the Sauvignon Blanc vines in many of the Chilean vineyard sites. Most of those vines have been pulled up since then and planted with true Sauvignon Blanc vines so that total planting figures for Friulano in Chile (where it is called Sauvignon Vert ) stood at less than 200 hectares by 2000. Friulano is also somewhat widely grown in Slovenia (where it was historically known as Tokaj), which is just to the east of Friuli. The border between Friuli and Slovenia is fuzzier than in many other places and there is a distinctive mix of cultures around where the two countries meet. There are actually a few Italian DOC areas whose borders extend onto Slovenian soil, which is a situation that I'm not aware of anywhere else on earth. There is an ancient wine making history in the area where Slovenia is now situated, but it's a bit difficult to speak of a Slovenian wine tradition since the country has only existed as a sovereign nation since 1991. It was a part of the Austro-Hungarian empire until that country was dissolved after World War I. In December of 1918, it was included as part of the Kingdom of Serbs, Croats and Slovenes, which became the Republic of Yugoslavia in 1943. Slovenia seceded from Yugoslavia in 1991 with mercifully little bloodshed and was recognized by the EU as an independent nation in 1992 and accepted as a member by the UN very shortly thereafter. The first Friulano based wine that I tried was the 2008 Quattro Mani "toh-kai" from the Goriška Brda region of Slovenia. Goriška Brda is an extension of the Collio region of Friuli onto Slovenian soil, meaning that it is very close geographically and traditionally to Italy. I picked this wine up for about $10 from my friends at Bin Ends. In the glass the wine was a medium lemon gold color. The nose was moderately intense with lovely aromas of pineapple, white flowers, peaches and mint leaves. On the palate the wine was medium bodied with medium acidity. There were light pear, pineapple and lemon fruit flavors with a distinct and somewhat aggressive kind of vegetal and herbaceous edge to it. There was a kind of stewed asparagus and tarragon character that I wasn't a particular fan of. The nose was wonderfully fresh and perfumed but the palate just didn't follow through enough for me. Wines made from Friulano are generally meant to be drunk young and this could have been a bit past its prime. The second wine that I tried was the 2009 Bastianich "Adriatico" Friulano from the Friuli region of Italy. I also picked this wine up at Bin Ends for about $13. In the glass this wine was a medium lemon gold color. The nose was reserved with peach and pear fruit along with some honeysuckle flower, orange blossom and marzipan. On the palate the wine was medium bodied with medium acidity. There were flavors of peach and orange fruit with a touch of honeysuckle flower. There was also a touch of fennel to this wine, but the vegetal edge wasn't nearly as pronounced as in the prior wine. Peaches were really the dominant flavor component with a some really nice flowery honeysuckle to boot. I could have personally used a bit more acid, but it was fairly pleasant overall. The general consensus on wines made from Friulano grapes is that they're nice enough but rarely have the depth or complexity of wines made from Sauvignon Blanc and I'd have to say that my experience matches up with that pretty well. I doubt very seriously that I'll go very far out of my way in the future to drink Friulano based wines, but I certainly won't actively avoid them either. 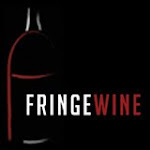 At some point in the next few hours, Fringe Wine will pass the 50,000 page view mark. When I first started writing this blog, I had no idea if anyone would care about these grapes and wines and, further, I didn't know if anybody would care what I had to say about them. The first full month that the blog was online I got a total of 21 pageviews. The next month was somehow worse as there was only a total of 20 pageviews. I kept plugging away at it and slowly but surely traffic started to rise. It has taken 19 months to get to 50,000 views, but if traffic holds steady, it will only take about another 7 to get 50,000 more (and if it continues to increase as it has, we'll get there in about half that time). I've learned so much in the course of writing this blog and have gotten to meet many interesting and amazing people. I'm blown away every day to see how many people are reading the things that I've written and am grateful to everyone who takes the time to check it out. In celebration of reaching this milestone I'd like to write about a couple of really interesting wines I've had recently that were made from the Nebbiolo grape. Nebbiolo is one of the world's great grapes, forming the base of two of the world's most spectacular wines, Barolo and Barbaresco. I wouldn't ordinarily write about wines made from it, but these two wines were made in very unique styles. One of them was a white table wine, similar in style to the Blanc de Franc I took at look at a few months back, while the other was a fully sparkling metodo classico rosé wine made by four young winemakers in Piemonte who became friends while attending oenology school together. 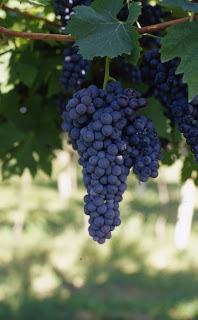 But before we get to those wines, let's take a look at the Nebbiolo grape and see if we can learn a bit more about it. Nebbiolo's name is thought to come from the Italian word nebbia, which means fog and is a reference to the dense fog that tends to form in the Langhe river around harvest time each year. To be as widely esteemed as it is, plantings of Nebbiolo are shockingly low and not geographically widespread at all. It is planted on only about 5,000 hectares (about 12,700 acres) of land, which places it well outside of the top 20 most widely planted grapes in Italy (Aglianico sits at number 20 with just over 18,000 acres planted as of 2000). For comparison's sake, Catarratto is planted on over 100,000 acres of land in Italy, but you'd have a much more difficult time finding a wine made from Catarratto at your local wineshop than you would one from Nebbiolo. Nebbiolo is planted almost exclusively in northwestern Italy in various parts of Piemonte, the Valle d'Aosta and Lombardia. There are plantings scattered in other areas of the world, but the grape just doesn't seem to do well outside of very selected areas in Italy. It is a unique grape in that it seems to perform well in a few very specific, very small places and nowhere else. Of all of the great wine grapes in the world, Nebbiolo is far and away the most scarce and prices for the best wines made from it definitely show it. There are three main Nebbiolo clones that make up most of the plantings of the grape: Lampia, Michet and Rosé. Nebbiolo Lampia is the most common of the three and is the vine we are generally referring to when we talk about Nebbiolo. The Nebbiolo vine is particularly susceptible to viral infections and Nebbiolo Michet is essentially a Nebbiolo Lampia vine that has been infected with a particular virus which causes the vine's canes to fork. In a presentation (link is currently dead...similar paper can be found here, in Italian) given at the Nebbiolo Grapes conference in 2004 (in Italian), a team of scientists reported that Nebbiolo Rosé is actually a genetically distinct variety, though it does have a parent-offspring relationship with Nebbiolo Lampia (though we don't know which way the arrow is pointing). This team also found that Nebbiolo Lampia was very closely related to Freisa and to Vespolina, among a handful of other Piemontese obscuranda. Decanter filed a report based on this presentation later that year where they claim that Nebbiolo is related to Viognier, though close reading of the article shows that they are overstating the case. 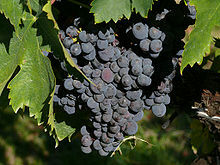 Since Freisa is related to Nebbiolo, then grapes that Freisa are related to are also grapes that Nebbiolo is related to. The research team found that Freisa had a lot of genetic similarities to Viognier, but they stopped short of saying that there was any provable familial relationship and I've not been able to find any publications since that time which were able to comment on the case with any certainty. It seems likely that there's some kind of relationship, but we just don't have enough evidence at this point to say one way or the other. The first of the two wines that I'd like to talk about was the 2010 Pietro Nera "La Novella" from the Terrazze Retiche di Sondrio IGT, which I believe is in the Valtellina area of Lombardia. The wine is made from 80% Nebbiolo and 20% Chardonnay and, as mentioned above, is a white wine. I picked this bottle up from my friends at the Gypsy Kitchen for about $21. In the glass the wine was a very pale silvery lemon color with some greenish tints to it. The nose was moderately intense with aromas of pears and ripe red apples. On the palate the wine was on the lighter side of medium with high acidity. There were flavors of green apple and meyer lemon with some ripe pear and white peach. It was sharp and zippy but had a bitter, pithy kind of finish. From the nose you'd expect a broad, ripe flavor profile, but it's actually fairly lean and little bit tart. It's a really cool wine and it's good, but the price is a little high for what you get. It's an interesting novelty but it's hard to imagine buying a case of something like this. The second wine that I tried was the 2006 Erpacrife sparkling Nebbiolo which I picked up from my friends at the Wine Bottega for $75. This wine is made by four young winemakers who met in oenology school and decided to make a sparkling Nebbiolo for their thesis project. They continued to make it after they graduated by using the fruit from some of the younger Nebbiolo vines on their properties. The name "Erpacrife" is a combination of the first syllable of each of their names: Erik, Paolo, Cristian and Federico. It's a traditional method sparkler with no added dosage. In the glass this wine was a medium pink color with vigorous bubble. The nose was strikingly intense with candied strawberry and rose petal aromas. On the palate the wine was light bodied with very high acid and intense bubbles. The flavor was very floral with rosewater, dried strawberries and something a little bit tarry. There wasn't a great deal of depth to the wine but the flavors were pure and intense. $75 is a lot of money to pay for wine but this was so unique and so tasty that I wouldn't have any problem at all paying that amount again for another bottle. It's really just a fantastic wine. What is one to do with a grape like Favorita? According to the Italian wine authorities, Favorita is a distinct grape variety, but according to the scientists, it is genetically identical to both Vermentino and Pigato. What are those of us who are fanatical about classification to do with Favorita, Pigato and Vermentino? Those of you who are familiar with this blog are aware that this is an issue that has caused me to spill a considerable amount of ink. My most complete treatment of the issue can be found in the Roter Traminer article, though I do touch on the issue in my Malvasia Nera post as well as my Pigato post. The question I'm wrestling with in all of those posts concerns the point at which a clonal variant becomes differentiated enough to be considered a separate grape variety. Where do we draw that line? How different is different enough to be considered separate? Believe it or not, this question was actually much easier to answer before the arrival and widespread use of DNA testing for grapes. Ampelography was (and technically still is, I suppose, though there are precious few ampelographers in the traditional sense of the word anymore) the science of grapevine identification and differentiation using the physical characteristics of the vine itself. Leaf shape and size was perhaps the most widely used measure for ampelographers, but other factors such as grape size and color and bunch size and shape were used not only to identify unknown vines in the vineyard but also to differentiate grape varieties from one another. This was not a perfect system by any means and there have been some fairly famous gaffes made by ampelographers in the past (like the mistaking of Carmenere with Merlot or of Sauvignon Blanc with Friulano in Chile, for example, though to be fair both of those cases were also eventually sorted out by ampelographers), but there's a certain kind of elegance and intuitive sense to classifying plants this way. The areas where ampelography has been found the most wanting, especially in recent years, concern those cases of vines that are likely clonally descended from a common ancestor, but which have been spread out geographically over a long period of time and have developed mutations along the way. All of the mutations that happen to grapevines which have an effect on the physical appearance of the plant are called somatic mutations. These mutations can affect everything from leaf shape to bunch size to grape size. Some are subtle while others are dramatic, though most of the dramatic mutations probably started out subtle and were exaggerated over time through clonal selection. The most famous somatic mutations involve Pinot Noir and its tendency to mutate into vines that produce white berries, which are known as Pinot Blanc, or pink berries, which are known as Pinot Gris. These somatic mutations cannot be picked up with current DNA analysis techniques because those techniques do not analyze the entire DNA string of a grape. I've mentioned DNA analysis enough on this site that I really should take some time to try to explain exactly what it is and how it works so buckle up because there's some serious science ahead. That bit in the middle where AG repeats is a microsatellite site, and it turns out that there are between 1,000 and 10,000 of these sites scattered throughout the genomes of most complex multi-cellular organisms (not all of them are repeats of just two nucleobases...it could just be one [AAAAAAAA] or as many as six [GATCACGATCACGATCACGATCAC]). It also turns out that some of these sites are highly variable between individuals and are inherited in very specific ways. What scientists have done is to find where these sites are in humans as well as in grapes and they have pinpointed the areas that are the most variable between individuals. These sites are given names like VVS1, ZAG64, and VVMD28 among others and they are the regions that scientists look at when they are trying to differentiate between different grape varieties or confirm synonymities between differently named grapes that are genetically identical. All individuals have microsatellite sites in the same places on their genome, but the size of the site will be different between individuals, so the number of base pairs in the repeat are counted up and compared across subjects to see which are identical and which are different (this is not very important in humans because humans are obviously distinctive from one another and are not propagated clonally as grapes are...see my Ciliegiolo post for a discussion of this issue). Most studies use between 6 and 10 different microsatellite sites in their analyses in order to differentiate between individual varieties because fewer sites don't give enough discriminatory power while more sites don't give you any added benefit. Parentage studies use the same technique, but look at different microsatellite sites which have been found to be directly inherited from each parent. This is the same technology, incidentally, used in paternity tests in humans and made famous by such trash-talk heavyweights as Jerry Springer. It's important to remember that these microsatellite sites are Junk DNA that are essentially just taking up space. They don't encode for any proteins and don't have any effect on the physical appearance of the plant. Remember for a moment what we said about somatic mutations: they are mutations that have an effect on the physical appearance of the plant, which means that they are mutations that occur in areas of the plant's DNA that are actually doing some kind of work. The kinds of mutations that affect berry skin color are happening in areas of the plant's DNA outside of the areas that microsatellite site analysis is looking at, so these mutations are essentially undetectable with this kind of technology. This can be a good thing, as it allows us to trace the clonal history of grapes like Pigato, Favorita and Vermentino, which are geographically dispersed, to a single grape ancestor, but it can also possibly lead us to overly reductionistic conclusions. Pigato, Favorita and Vermentino are genetically identical according to the microsatellite analysis, but does that mean they're the same grape? The case of Pinot Noir is significant here, I think. Pinot Noir, Pinot Blanc and Pinot Gris are genetically identical, but are considered to be different grape varieties by virtually every expert on earth, while grapes like Nielluccio, Sangiovese and Prugnolo Gentile are considered to be clonal variants of the same grape, Sangiovese. The difference in the two cases is obvious: the Pinot mutation has an obvious physical manifestation, namely the color of the grape skin. But it's more than just that. The color of the grape skin has a direct effect not only on the wines that are made from that grape, but also in the kinds of wines that can be made from it and the methods that one must employ to make those wines. The physiological difference entails a different approach to making wines from that grape, while the physiological differences between the Sangiovese clones are much more subtle. One could mistake wines made from the Sangiovese clones with one another while it would be much more difficult to make that mistake with wines made from the Pinot varieties. The situation with Pigato, Favorita and Vermentino is, unfortunately, not so clear cut. There are obvious physical differences: Pigato has a characteristic splotchiness on the grape skins that Favorita and Vermentino lack while the leaves, clusters and buds of Favorita are different enough from those of Vermentino that the Italian Ministry of Agriculture decided that it was a separate grape in 1964, stating unequivocally that "Favorita and Vermentino must be considered as two distinct cultivars," but given the new information that DNA analysis has provided, can we still say the same thing today with the same amount of confidence? The splotchiness of the skins of Pigato has no real effect on the wines made from the grape or on the range of wines that could possibly be made from it, and the physiological differences between Favorita and Vermentino seem to be merely cosmetic. One could argue that wines made from each of the three grapes are distinctive from one another, but one would expect that anyway given the range of places and climates where each is primarily found (Pigato in Liguria, Vermentino in Sardinia and Liguria and Favorita in Piemonte). Wines made from Chablis are much different from those made in Pugliny-Montrachet, for example, but Chardonnay is the grape in both wines. So what are we to do? It would be ideal if the genomes of Pigato, Favorita and Vermentino were completely sequenced so that an analysis could be done to see where the differences are in their DNA and to see just how widespread they are. We know that they're ultimately descended from the same plant and have mutated independently over time to the extent that they are visually distinguishable from one another, but we just don't know how significant the mutations have been on a molecular level and we can't know unless we have the entire DNA sequence of each grape. Sequencing an individual grape variety is no small task, though, and I doubt seriously that there's much clamor for that kind of work on any of these three grapes. Given the standards that are currently used to differentiate grape varieties, I don't see any way to consider Pigato, Favorita and Vermentino as separate cultivars. The differences just don't seem significant enough to me to merit differentiation. If any readers have any thoughts, please share in the comments section as I'm very interested to see how others might feel about this (if anyone other than me ever thinks about this kind of stuff). The grape we call Favorita is grown exclusively in Piemonte around the Roero region and is thought to have arrived in this area over 300 years ago via Ligurian oil merchants. The grape is known for having large berries and has been a popular table grape in Piemonte for many years. It is thought that moniker "Favorita" was bestowed as a result of its prowess and esteem as a table grape and not as a wine grape. When it was used for wine, historically it was blended with Nebbiolo in an effort to smooth over some of Nebbiolo's rough edges. Varietal wines made from Favorita have enjoyed some success recently, but plantings lag well behind those of Arneis and Chardonnay in the Langhe. Many examples that we find here in the US are slightly spritzy, though I'm not sure how prevalent that style is elsewhere. I was able to find a bottle of the 2009 Gianni Gagliardo "fallegro" Favorita at Bauer Wine and Spirits for about $17. In the glass the wine was a medium lemon gold color. The salesperson at Bauer told me this wine was supposed to be a little fizzy, but mine was completely flat. The nose was a total blank with maybe a suggestion of lemon or apple, but it was really a total cipher. This is apparently a characteristic of the grape itself, as Nicolas Belfrage in his Barolo to Valpolicella refers to the grape as "non-aromatic [with] any scented character it may have coming by illicit blending." On the palate the wine was medium bodied with medium acidity. It was somewhat cidery with ripe apple and apple peel fruit along with a touch of pear and melon as well. The wine was bottled with a synthetic cork so I wonder if perhaps there was a faulty seal which may have caused my bottle to go flat and take on a bit of oxygen. I haven't had a chance to try another Favorita-based wine, so I'm really not sure how representative my bottle is. This bottling is supposedly the benchmark for Favorita wines, but it didn't do much for me. Last week we took a look at the Xarel-lo grape and noted that while it wasn't all that uncommon to find a wine with Xarel-lo in the blend, it was fairly uncommon to find a wine made from 100% Xarel-lo. 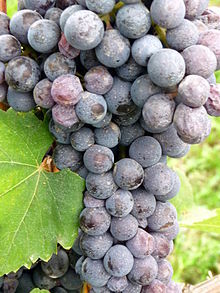 Today's grape, Corvina, is very similar to Xarel-lo in that it is also generally found in a blend with at least two other grapes and is rarely found as a varietal wine. Since I was able to track down and try one of those unusual wines I thought I'd take a few minutes to share some information about it. Corvina is the main component in the red wines of Valpolicella and Bardolino in the western part of the Veneto region of northeastern Italy. Both of those wines are generally made from a mixture of Corvina, Rondinella and Molinara grapes though other grapes like Rossignola, Negrara Trentina, Oseleta, Barbera, Sangiovese or Corvinone are also permitted. Bardolino is south of Valpolicella on the eastern shore of Lake Garda and tends to make lighter bodied wines. In Bardolino, Corvina is required to make up 35 to 65% of the total blend for all styles and subregions. The table wines of Valpolicella are thought to be more intense and deeper than those of Bardolino and Corvina is required to make up between 40 and 70% of the Valpolicella and Valpolicella Classico table wines. Rondinella is required to make up 20 to 40% of the blend and miscellaneous grapes are allowed to make up the difference (to a maximum of 15%). Molinara used to be a requirement in the blend but was thrown out when the area was applying for DOCG status as Molinara is not considered to be a quality grape (only Amarone and Recioto della Valpolicella were ultimately granted DOCG status in 2009). For the famous and powerful Amarone wines of Valpolicella, made from dried grapes, and for the Recioto wines, made from passing Valpolicella wine over the dried grape skins left over from Amarane production, Corvina must make up between 45 and 95% of the blend, Rondinella 5 to 30% and miscellaneous grapes up to 25%. 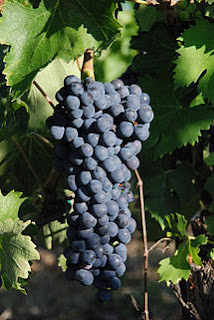 For many years there was a grape grown in the Valpolicella and Bardolino regions which was known as Corvinone because it was thought to be a large-berried mutation of a Corvina vine (Corvinone means essentially "big Corvina"). A study done in 2003 has shown that Corvinone is actually a distinct cultivar from Corvina, and, further, that Corvinone doesn't appear to be related to any of the other Veronese grapes that were analyzed in that study. Many online sources indicate that Corvina has a parent/offspring relationship with Rondinella, but I haven't been able to find any specific study that corroborates that assertion. Most sites are just cutting and pasting the text from the Wikipedia entry on Corvina, whose citation points to the Oxford Companion to Wine, whose entry reads "DNA profiling at San Michele All'Adige in 2005 supported a parent-offspring relationship with Rondinella." Those of you who have been reading this site over the last few months are already well aware of my issues with the OCW and their treatment of these kinds of issues, so I'll abstain from another rant on the subject and will merely direct unfamiliar readers to these posts on Hondarrabi Zuri (part 1 and part 2), Emerald Riesling and Ciliegiolo for context and background. I will say that I was unable to locate the study they are referring to from that description and so I really can't say what the relationship is between Corvina and Rondinella. In his Barolo to Valpolicella, Nicolas Belfrage writes that references to a wine called Corvini appear as early as 1627, though it isn't clear whether this reference is to the modern Corvina. The first specific written reference to the Corvina grape (also known as Corvina Veronese, Cruina or Cassabria depending on where you are) occurred in 1818, so its history in this region can be traced back at least that far. He quotes one modern grower as saying that "Corvina is a great grape variety with a great defect," which is that the first few buds on the cane do not produce any fruit, so the vines have to be trained long and given plenty of space, which means that they can't be planted very densely and thus yields per hectare are fairly low. The skins of Corvina are very thick which not only makes it resistant to rot or fungal diseases in the vineyard, but also means that it can stand up to the drying process necessary to transform it into Amarone with little trouble. In 2010, a team at Verona University were able to fully sequence Corvina's DNA, and what they found was that there were over 400 different genes in Corvina that activated when undergoing the drying process which are responsible for many of the unique flavors found in Amarone wines. 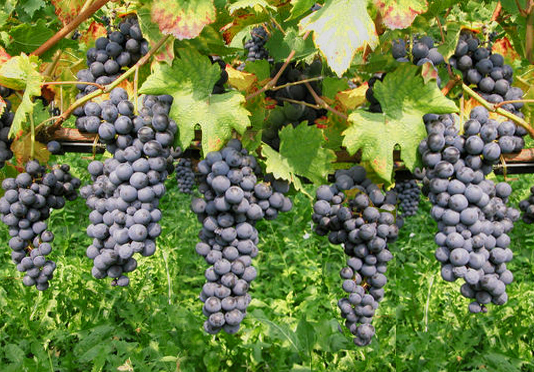 Some of these genes were present in other grapes such as Pinot Noir, but they do not activate when dried and so those flavor compounds are not created. I was able to find a bottle of the 2009 Tenuta Sant'Antonio "Scaia" Corvina from my friends at Curtis Liquors for about $12. This bottle is an IGT because no DOC zone allows for a 100% Corvina wine. I've come across a few different vintages of this wine and it seems like these guys like to change their label almost every year so whatever is available at your local shop may look much different from the picture at right. In the glass the wine was a medium purple ruby. The nose was moderately intense with red cherry, stewed berry and plum fruit with a touch of dry leather and espresso. On the palate the wine was on the fuller side of medium with fairly high acidity and medium tannins. There were strong cherry and red plum fruit with a bit of chocolate and spice. There was also a bit of dried cherry and espresso on the finish. The wine was nicely balanced between juicy cherry fruit and earthy chocolate and coffee flavors. Fans of Valpolicella or Bardolino will obviously find a lot to like here, and it should provide an interesting opportunity for aficionados of those regions to get a sense of what Corvina contributes to the blended final products there and what it is capable of on its own. There are a lot of things at stake when paternity tests are given to humans, but it is virtually never the case that a genetic test is required to see which of a pair of individuals is the parent and which is the offspring. The directional arrow of parent-offspring relationships are pretty easy to determine for animals because the age of one or both of the parties involved is usually pretty easy to determine. The same is not necessarily true for plants, though, and it is especially not true for grape varieties. You might object that the situations aren't exactly the same, but I would contend that they're closer than you might think. Let's take a moment to consider what an individual grape variety actually is. Take Chardonnay, for example. 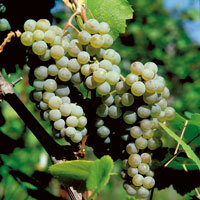 We happen to know that Chardonnay is the offspring of two other grapes called Pinot Noir and Gouais Blanc. What that means is that pollen from a Pinot Noir plant was used to fertilize the flowers of a Gouais Blanc plant and when one of the resulting seeds was planted, a Chardonnay plant was the result. But here's what we also know: when the same two parents got together on other occasions, the plants that grew were not Chardonnay, but were rather Aligoté, Auxerrois, Gamay Noir, Romorantin, and Melon, among many others. All of these grapes are full siblings of one another, and if you think about the consequences of that fully you should see that what that really means is that each variety of grape is essentially like an individual person. We can't get more Chardonnay plants by having its parents mate over and over again, so if we want to grow more Chardonnay vines, we have to clone the ones we have by planting cuttings. By the same token, if we needed another one of you, we couldn't ask your parents to have another child but would rather have to clone you. Now let's imagine a world where human cloning has been perfected and is not only allowed, but is the preferred method of creating new human beings. Over time, there have been certain individuals who have particular qualities in certain combinations that makes them ideal human beings and these individuals are now our archetypes for the human race. They are still capable of sexual reproduction, but this kind of reproduction is seen as a kind of genetic gamble that people are rarely willing to take so nearly all new human beings are clones of a series of archetypal individuals who were born as products of sexual reproduction several generations ago. Let us further imagine that we are face to face with two of these clones who are ultimately descended from different individuals, one of whom was the father of the other, but we don't know which is the father and which is the son. Neither of the individuals in front of us actively fathered the other, but one of the genetic lines is the ancestor of the other. How could we tell which was the father and which was the offspring? Obviously we can't just look at the two to see which is older since we're dealing with clonal lines and not direct lines of parentage and progeny. You might be thinking that DNA analysis should be able to clear this up rather quickly, but it's a little trickier than that. Offspring, both grape and human, get 1/2 of their DNA from their father and 1/2 from their mother. If we were to analyze the DNA from each of the two individuals in front of us, we would be able to see that they share 1/2 of their DNA, but we wouldn't be able to tell which of them had passed that DNA to the other. In order to determine which is the father and which is the son, we would need the genetic information from the mother as well. Whichever of the two people in front of us also contained DNA from the mother would be the son and thus the descendant of the other. All of which does, finally, bring us to today's grape, Ciliegiolo. We know that Ciliegiolo has a parent-offspring relationship with Sangiovese, but the direction of that relationship is in some dispute. Our story begins in 2007, when a paper was published which claimed to have uncovered the parentage of the Sangiovese grape. José Vouillamoz (who some of you may remember from the Hondarrabi Zuri saga) and his team used a private database of microsatellite markers and 180 plant samples from various university germplasm collections in an attempt to discover Sangiovese's parent grapes. To do this, they first checked to find grapes in their databases and samples that shared a lot of DNA with Sangiovese. These grapes were hypothesized to be Sangiovese relatives, though the exact relationship at this point wasn't clear. In order to establish parentage relationships, they essentially had to go by trial and error and try out a lot of different combinations of grapes as putative parents to see what worked. In the course of their analyses, they found that Ciliegiolo and an obscure grape they plucked out of the countryside near Naples that they call Calabrese di Montenuovo were the parents of the Sangiovese grape. Game over, right? Well, not exactly. Shortly thereafter, another research group led by Manuel Di Vecchi Staraz (citation below) analyzed the DNA of several thousand different grapes to try and determine how and where Sangiovese might fit in with any of their family trees. This team was unable to find any parent-pair for Sangiovese among their samples and while they found a parent-offspring relationship between Ciliegiolo and Sangiovese, their research led them to conclude that Sangiovese was actually the parent to Ciliegiolo (along with a grape called Muscat rouge de Madére). Further, their analysis enabled them to discover the parents of Muscat Rouge de Madére, which enabled them to do some analyses based on these sets of grandparents which, they feel, cemented their claim (I don't understand enough of the science to know how justified they are in this claim). They also point to the fact that Sangiovese appears in the literature earlier than Ciliegiolo as proof that it is an older variety and thus parent to Ciliegiolo by necessity, but I don't find this argument convincing as names for grapes change frequently and the presence of a grape in the written record only accounts for its discovery not for its existence. So we have a controversy here, and as far as I can tell, it is still unresolved. A paper published the next year seems to side with Vouillamoz et. al., though you can really only tell that by looking at Figure 2 in their paper (the text is maddeningly vague). The VIVC, though, seems to accept Di Vecchi Staraz's theory, and they list Ciliegiolo as an offspring of Sangiovese. Wikipedia acknowledges the controversy and remains agnostic, if poorly cited, about it. The Oxford Companion to Wine (online version) unequivocally states that Ciliegiolo is one of the parents of Sangiovese, which shouldn't be that surprising if you remember that José Vouillamoz, the lead author of the paper cited above which also makes this claim, is the OCW's resident grape pedigree expert. In fact, José Vouillamoz is credited (obliquely, I should add...his initials are provided at the end of the entry and you have to click on the J.V. to get his name) as one of the authors of the entry (the other author is one of the cadre of MW's that the OCW has on staff who is an expert on Italian wines but not on genetics). This means that the entry in the OCW wasn't written by a dispassionate outside observer, it was written by one of the scientists who is directly involved in the debate itself and it bothers me a bit that this not only was this fact not openly disclosed, but the other voices in the debate are completely disregarded in the entry itself. If you only read the OCW's entry on Ciliegiolo, you wouldn't know that there was any controversy at all, and that doesn't sit right with me. I haven't contacted anyone at the OCW regarding this because I'm not really in the mood to be told that I have to wait and buy their $125 book to read the full story again. There are a few lessons to be learned here. The first is that scientific discovery is a process which sometimes arrives at the truth quickly, but sometimes arrives there by a more complicated route. The information that is currently available is conflicting, and it seems like a reference material such as The Oxford Companion to Wine should acknowledge that conflict to some extent. The second lesson is that you should always try to be aware of who the author of what you're reading actually is. The OCW, as an encyclopedic resource, is a collaborative effort, but there are certain articles that are written by specific contributors and those contributors are occasionally highlighted and credited, but not always. It is important to know that what you're reading has been written by someone who is in a position to know what they're talking about (an expert), but it's also important to know whether the author has any other kind of stake in the issue at hand. This particular entry is written by an expert, but he is a biased expert in this case and the responsible thing to do is to acknowledge both the bias itself and also the wider controversy so that interested readers can seek out the original materials if they are so inclined. I've recently come across another paper published in 2010 that sides with Di Vecchi Starazin saying that Ciliegiolo is the offspring of Sangiovese and Moscato Violetto, which is a synonym for Muscat Rouge de Madere. Their research seems convincing and I'm inclined to believe their results at this point. The citation is: Cipriani, G. et al. The SSR-based molecular profile of 1005 grapevine (Vitis vinifera L.) accessions uncovers new synonymy and parentages, and reveals a large admixture amongst varieties of different geographic origin. 2010. Theoretical and Applied Genetics. 121: 1569-1585. So, enough about all that then. Let's take a look at a couple of wines made from the Ciliegiolo grape, whatever its relationship to Sangiovese turns out to be. I was actually able to find two different wines made from the Ciliegiolo grape in two very different styles. The first was the 2010 Bisson Ciliegiolo from the Golfo del Tigullio in Liguria in northwestern Italy. This wine was made in a rosé style and I picked it up from my friends at the Wine Bottega for about $23. In the glass this wine was a coral red color like the color of the juice in a bottle of maraschino cherries. The nose was very intense with nearly every kind of cherry that you can imagine (maraschino, candied, dried, tart, red) along with a touch of strawberry. The grape is supposedly named for the Italian word for cherry (ciliegia) due to its propensity to smell and taste like, well, cherries. On the palate the wine was medium bodied with fairly high acidity. There were flavors of sour cherry, wild strawberry, candied red cherry, cranberry and sour red fruits. There may have been a hint of residual CO2, but I wasn't entirely sure. The wine was fresh and juicy but completely dry. This is a knockout summer wine that I would drink with just about anything. The fruits were pure and ripe and the wine was an absolute delight to drink. The second wine that I tried was the 2007 Sassotondo Ciliegiolo from the Maremma region of Tuscancy. I had to special order this wine and my friend Joe at Curtis Liquors brought it in for me for about $18. In the glass this was a deep, opaque purple ruby color with a narrow violet rim. The nose was moderately intense with very meaty, savory flavor notes that reminded me of the smell of dry-aged beef steaks. There were also dried black fruits (fig and prune) along with some flat cola, baking spice and chocolate. On the palate the wine was on the fuller side of medium with medium acidity and fairly substantial tannins. There were flavors of dried black fruits, black cherry and fig, along with a distinctive meaty, beefy kind of flavor and something like flat cola and imitation chocolate. The wine tasted a little sweet, but it could have been the 15% alcohol giving that illusion. The meatiness did eventually blow off but in its place that fake chocolate taste came on stronger and stronger. I just flat out did not like this wine and was unable to finish the bottle. The sweet taste and the fake chocolate were just too much for me and I only made it through one glass before I discarded the rest. group and origin of the cultivar Sangiovese revealed. J. Am. Soc. Over the past few weeks I've been profiling a series of wines that were given to me by Paul Turina of Turina Italian Wines. I've recently written about a series of Groppello-based wines, a Vespaiola-based wine and a Grechetto-based wine which Paul was generous enough to share with me. All of those wines were made with grapes that I'd not yet written about, but this final bottle was made from the Sagrantino grape, which I wrote about way back in January 2011. Since I've already covered quite a bit of ground about the Sagrantino grape in that post, I've decided to feature this wine in my sporadic "Free Wine Friday" series and try to cover some of the ground that I may have missed in my previous post. Though Sagrantino has been around since at least 1879 (when it was first mentioned in an Ampelographic Commission report), it isn't a particularly well known grape for a few reasons. The first reason is that there just isn't that much of it. There are only a few hundred acres planted to the grape (nearly all of them around the town of Montefalco in Umbria) and only a couple dozen producers who make any wine from it. Further, wines made from Sagrantino were traditionally sweet dessert wines made from partially dried grapes. The market for dessert wines hasn't been that great over the past few decades so very little of these wines were exported. Table wine production has been on the rise over the past few decades, but the quality of these wines has been uneven since many producers have been unable or unwilling to invest in newer technology and/or techniques in their vineyards and in their wineries. Most of the table wines that we see are bottled under the Sagrantino di Montefalco DOCG which covers both dry table wine production (secco) and dessert wine production (passito). In order to qualify for the secco designation, the wine must be made from 100% Sagrantino grapes and must be aged for at least 12 months in oak barrels and at least 30 months altogether prior to release. Why such a long time? Sagrantino is an incredibly tannic grape and it typically requires several years of oak aging as well as some time in bottle before it is approachable. Many producers actually exceed the minimum aging time prior to releasing their wines because of just how ferocious young, untamed Sagrantino can be. Sagrantino is also allowed in the Montefalco Rosso DOC wines, but is only allowed to make up 15% of the blend at the most (the majority of these wines are made from Sangiovese grapes). What was really interesting to me about the wine that Paul brought for me was that it was a 100% Sagrantino wine from the Montefalco region, but it was bottled as an Umbria IGT because it wasn't aged for the required period of time to qualify for the DOCG label. The producer, San Clemente, makes a Sagrantino di Montefalco (and makes an excellent Grechetto which I reviewed in my post on that grape), but for some reason they also make this wine called "Ilucis" which is only aged for 9 months in barrel before release. The bottle that Paul provided to me was from the 2009 vintage, which is apparently the first year that this winery has made this wine. My best guess is that they've got some young vines that aren't yet mature enough to meet their quality standards for their DOCG level wine, but that's total speculation. This wine was provided to me as a free sample so I'm not sure what the retail price for it is. I believe it would be somewhere in the $20 range, which is significantly lower than you'd be able to find a Sagrantino di Montefalco for. As usual I have not been compensated in any way for reviewing this wine other than by receipt of the bottle. I do not have any business affiliation with Paul Turina, Turina Italian Wines, or any of their business associates. In the glass this wine was a medium purple ruby color, which was a bit unusual since Sagrantino based wines are usually inky black due to the amount of time that the juice is left in contact with the skins after crushing. For their DOCG Sagrantino di Montefalco, this particular winery leaves the juice on the skins for a whopping 21 days. They don't specify how long the maceration period is for this wine, but you can bet it's nowhere near that long. The nose was fairly intense with smoky, savory, meaty aromas along with black cherry and blackberry fruits. On the palate the wine was on the fuller side of medium with fairly high acidity and fairly high tannins. I was expecting to have the inside of my mouth ripped apart by this but the tannins were kept somewhat in check. It was a big, brawny wine with black cherry and blackberry fruit with a hint of raspberry as well. There was a distinct smoky, meaty, almost bacon-y kind of taste to it as well which did blow off somewhat as the wine opened up. It was a bit harsh and probably could have used a bit more time in the bottle, but it was pretty nice overall. It's certainly not as deep or complex as a DOCG Sagrantino di Montefalco, but it's a reasonable substitute for the money and is a good introduction for those curious about the grape but unwilling to shell out $50-$100 for a taste. The high acidity and intense tannins demand food and I would lean towards grilled red meats to soak up some of those tannins. The last time I counted the number of entries on my Wine Century Club application, I had over 350 different grapes crossed off, so it isn't all that often that I come across something completely new to me. Such was the case, though, when Paul Turina, of Turina Italian Wines, emailed me a few weeks ago. Paul had read my posts on Marzemino and Turbiana and was wondering if I'd ever tried any wines made from the Groppello or the Vespaiola grapes. I informed him that I had not, and so Paul made the trek down from Portland, Maine, to bring me a half case sampler of wines that he imports from various regions in Italy. I wrote about his Grechetto a few days ago and will be writing about the Vespaiola and the Sagrantino he brought me in a few days, but today I'd like to take a look at the Groppello grape, three wines made from it, and the man who brought them to me. 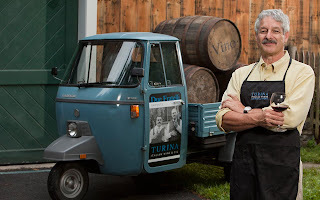 Paul Turina became a wine importer pretty much by accident. He'd always enjoyed having a glass of wine with dinner (he is Italian, after all), but he wasn't too fussy about what he drank and didn't spend too much time thinking about it. About ten years ago, he and his family decided to take a trip to Italy to visit a set of his cousins. Paul had never been to Italy before and had never met this particular branch of his family tree. He and his relations struck up a fast acquaintance and began traveling back and forth across the Atlantic on a somewhat regular basis to visit with one another. On one of Paul's trips, he and his relations stepped into a local restaurant for dinner. Paul's habit was to order the house wine at Italian eateries, which is usually a fairly anonymous wine made by the proprietor or one of his associates, but on this visit, he decided to take a look at the wine list to see what kinds of things they had to offer. As he scanned the list, he noticed his own last name, Turina, next to one of the listings. Curious, he asked the server about the producer and was informed that it was a local family winery which was located just a few doors down the road. Paul went to investigate the winery and discovered that the proprietors were distant relatives (3rd cousins or so) of his who were fairly well known in the Garda Bresciano region of Lombardy, which is on the western bank of Lake Garda. The winery is run by Luigi, Dario and Paolo Turina, three brothers who are the latest proprietors of a family winery that goes back a few generations. The Turina winery is the largest producer in the Brescia region and is quite well known there (one of their rosé wines won an award for best rosé in Italy at one point), but they had no American importer and so their wines were unavailable and unknown in the USA. Paul decided to change that. For sixteen years, Paul had been a chemical importer and distributor. If he could do it with chemical products, why not wine, he thought to himself, so he procured an importer's license from the Federal Government and began to import his family's wines more as a hobby in order to, as he put it in an email to me, supply his brother with a wine that had his own name on the label. Over time, his wine-making relatives began to introduce him to other producers who were looking to move into the American market, so Paul would visit with them and, if things went well, he would buy a few cases from them to bring into the US. He currently represents about 10 different producers who are scattered across nothern Italy and who, together, put out about 40 different labels. He is frequently traveling back to Italy to find new producers to add to his portfolio and is thinking about branching out more into southern Italy in the near future. Most of the wineries he represents are small family owned operations that don't produce a ton of wine (the exception is the Turina winery, which produces about 150,000 bottles per year from about 18 hectares of land). Many of them farm organically and nearly all of them have invested heavily over the past decade or so in their own wineries in order to raise the quality of their wines, which was certainly evident in the wines that I was able to try from his portfolio. Paul is passionate about the wines that he imports and his enthusiasm for his products is infectious. He met with me because he is trying to catch the attention of distributors outside of Maine, particularly in Massachusetts, so that he can offer the wines in his portfolio to a larger set of consumers. The current laws in Massachusetts stipulate that Paul cannot sell his wines directly to retailers, restaurants or individuals within Massachusetts because his business is located in Maine and direct shipping from any out of state producer is prohibited (for the purpose of the law, Paul is considered a producer despite the fact that he is an importer). He can only sell to a distributor located within Massachusetts who can then apply their markup and sell the wine to Massachusetts retailers who can then apply their markup and then sell it to us, the consumers. It's a complicated and ridiculous system that is insanely cumbersome, outdated, and unfair, but it is the system we live in and its rules are the rules we have to abide by (those who are interested in changing those laws should check out Free the Grapes and contact their local elected officials to express their displeasure). I really do encourage any retailers who may be interested in his wines to contact Paul through his website or to contact one of their local distributors to try and urge them to pick up some of Paul's wines. There are some products he has, like the three different Groppello's I'll take a look at below, that are currently not available in Massachusetts and which are good and interesting enough that wine drinkers will want to seek them out. I've had the opportunity to sample all six wines he brought to me by now and all of them were unique and tasty while some of them, like the Grechetto, bordered on exceptional. Paul hasn't paid me a dime for anything I've written and I don't stand to profit at all if his business takes off. I'm merely a fan of the wines he brought me and hate that more people may not be able to try them because we live in a system that is designed, set up and maintained out of greed rather than out of a genuine concern for quality or consumer choice. With that out of the way, we can now take a look at one of the grapes grown by Paul's family on the western bank of Lake Garda. That grape is called Groppello (they also grow "Lugana," aka Turbiana, though I've not had the opportunity to taste any of their wines made from it), and there isn't a lot of information available on it. The Oxford Companion to Wine's entry reads in full: "red grape variety grown to a limited extent in the Italian wine region of Lombardia." There seem to be at least three different subspecies of Groppello: Groppello Gentile and Groppello di Mocasina, which are red grapes, and Groppello Bianco, which is obviously white. Groppello di Santo Stefano is mentioned as a sub-variety in some places but is probably just a synonym for Groppello di Mocasina according to the VIVC. The German Wikipedia site does have a page for it (and is, remarkably, the source of nearly all the info I could find on Groppello), though, and they indicate that it is planted on less than 30 hectares of land on the western shore of Lake Garda. The VIVC does have separate listings for Groppello di Mocasina and Groppello Gentile so it is possible that they're completely different grapes, but most other sites treat them as sub-varieties of the same grape, so I'm following suit. It doesn't appear that anyone has done any genetic research on these two varieties, but it is probably the case that they're mutations of the same grape or are very very closely related. The Mocasina subvariety is the lesser planted of the two, covering only about 47 hectares of land, and is so named because it is found primarily in the Mocasina area around Lake Garda. Groppello Gentile is planted on just under 500 hectares of land, and, like its compatriots, is planted almost exclusively on the western shore of Lake Garda. 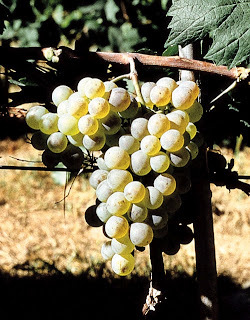 Groppello Bianco is generally a synonym for the Nosiola grape, but there does appear to be a white grape called simply Groppello in the VIVC that appears to be distinct from the Nosiola grape. I'm unsure what its relation is to the other grapes and, further, am unsure what Nosiola's relationship is to any of the other Groppello grapes. What I do know is the name Groppello comes from the Italian word grop, which means "knot" and refers to the knot-like appearance of the berry clusters on the vine. Luigi Turina, grandfather to the three brothers currently running the winery, began his Turina Winery because of his belief in the quality of the Groppello grape, and the winery currently offers four different wines that depend on Groppello to some degree. The first wine that I tried was the Fontanamora Chiaretto, which is at least 50% Groppello (by law), 30% Marzemino and the rest Barbera, though the exact percentages vary from year to year. The winery also has a wine that is just called "Chiaretto," which I wasn't able to try. The difference, I think, is that the grapes for this wine come from a prized vineyard site called Fontanamora (and that Sangiovese is used more than Barbera in the final blend for the basic Chiaretto). For some reason the Turina winery doesn't list this wine on their website, though they do have a page for the regular Chiaretto bottling. When Paul was telling me about this wine, I thought it was interesting that the final blend of grapes is actually determined prior to pressing. For most blended wines, each grape variety is pressed and vinified separately and then the finished lots of wine are blended together. For this wine, all the different grapes are crushed together, left on the skins for less than 24 hours (by law; the actual timing for this bottling was more like 8 hours Paul tells me), pressed, and then the combined juice is all fermented together. It's a tough way to make wine since if you're off at all, there's no chance to adjust prior to bottling. You have to make your blending decision based on the grapes themselves and just live with it. All three of the wines reviewed below were given to me as samples directly from Paul. I have not been compensated in any way other than receipt of the bottle and I do not have any business affiliation with Paul Turina or any of his associates. The vintage for this bottle was 2011 and the price that he lists on his website for those interested in purchasing directly from him (if you are fortunate enough to live in a state where that is possible) is $13. In the glass this wine was a vibrant pink color with perhaps just a hint of onion skin orange around the edges. The nose was nicely aromatic with tart cherry, strawberry, abd crushed fresh red berry fruit with something slightly floral as well. On the palate the wine was medium bodied with fairly high acidity. It was bone dry with bright, juicy tart cherry, maraschino cherry, watermelon, strawberry and fresh raspberry fruit. It was a bit like drinking a fresh red berry fruit cocktail. It was clean and refreshing with lovely pure fruit flavors. This would be a great thing to open up after mowing the lawn on a hot summer day or just to sit on the porch with to watch a July sunset. The next wine that I tried was the 2010 entry level Groppello which Paul has listed for $12 on his site. The grapes are hand sorted prior to crushing and are left on their skins for five days. Once the fermentation is complete, they are racked into oak barrels (some new but I'm not sure what percentage) and aged for six months prior to bottling. In the glass this wine was a medium purple ruby color. The nose was fairly intense with dusky red cherry and raspberry fruit with tea leaves and spice. On the palate the wine was medium bodied with fairly high acidity and low tannins. 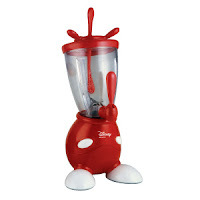 There were juicy fresh cherry and red berry fruits with black tea and black pepper on the spicy finish. The Turina winery website suggests beef or lamb with this, but I don't think it's quite big enough to handle that. It actually reminded me more of a cross between a nice cool climate Pinot Noir and a Cru Beaujolais. I actually think this might be nicely refreshing with a slight chill on it, thought it was quite nice at room temperature as well. It would go with a wide variety of foods and would be an ideal match for almost anything in a tomato sauce. Fans of bright, juicy, fruit-forward wines with nice acid and soft tannins will find a lot to like here. The last wine that I tried was a reserve bottling of Groppello sourced from the Seselle vineyard which, according to the Turina winery website, is an ideal location for Groppello. Groppello is fairly thin-skinned and so is very vulnerable to fungal diseases and moist conditions. This particular site is situated so that the winds sweeping off of Lake Garda keep the air circulating and prevent any moisture from accumulating on the grapes as they ripen. As a result, the grapes can hang on the vine a little longer and get a bit riper than in other places. This wine is aged for two years in oak (some new) before bottling without any filtration. The wine I tried was the 2007 and Paul lists the price for it on his site at $18. In the glass this wine was a medium purple ruby color. The nose was very aromatic with spicy black cherry, plum, charcoal, smoke and black pepper. On the palate the wine was on the fuller side of medium with fairly high acidity and medium tannins. There were flavors of red and black cherry, raspberry, smoke, black pepper, baking spice, cola and a hint of brown sugar. Some of the smoke blows off a bit as this opens up and the red berry fruits step a bit more into the forefront. The baking spice and cola notes are very pronounced and the wine has a nice spicy complexity that the basic Groppello bottling lacks. It reminded me quite a bit of the Cesanese I had a few months back. This wine has a bit more stuffing than the basic Groppello, but I'd probably stick with the same kinds of foods. I'd be more inclined to open this with grilled meats because of the smoky notes that I picked up in it, but I still think tomato sauces are probably this bottle's best friend. If any of these wines interest you, please visit Paul's website and send him an email. He's a fascinating guy who is absolutely in love with what he does. He's one of the good guys and I really hope someone agrees to pick up the distribution for some of his wines in Massachusetts soon.